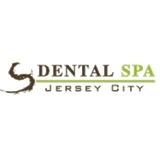 Jersey City Dental Spa (Jersey City) - Book Appointment Online! The focus and goal of the Jersey City Dental Spa is to provide extraordinary experiences in dentistry and oral care in a relaxing, compassionate environment. The JC Dental Spa offers general dentistry, cosmetic dentistry, preventative care and spa services, focusing on health and wellness in a warm, relaxing environment.